The High Road has changed, of that there is no doubt. The basic structure remains the same, the buildings are still very much the same but the trades are different. As our shopping habits have altered, so, too, have the shops. We would like to document the transformation of our High Road – to see how many changes we can recall. Here are a few examples to jog your memory. 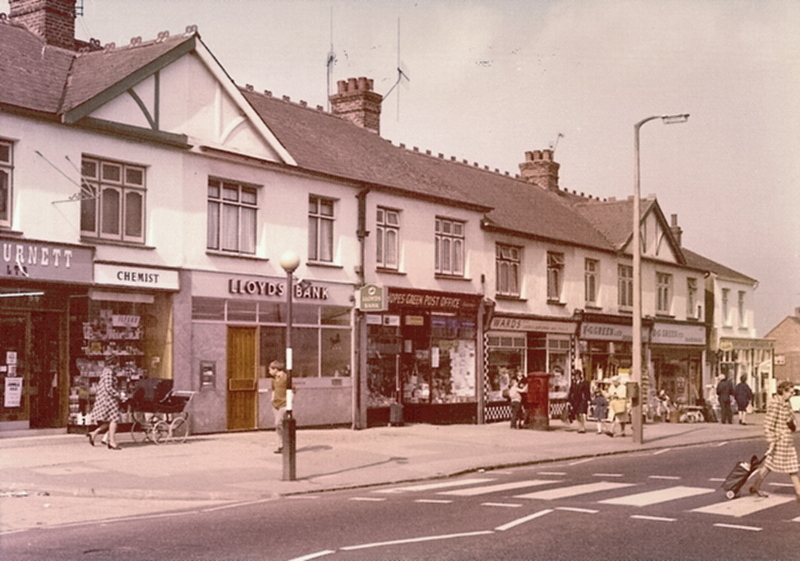 The charming picture of the parade in the High Road evokes memories of the 1960s. 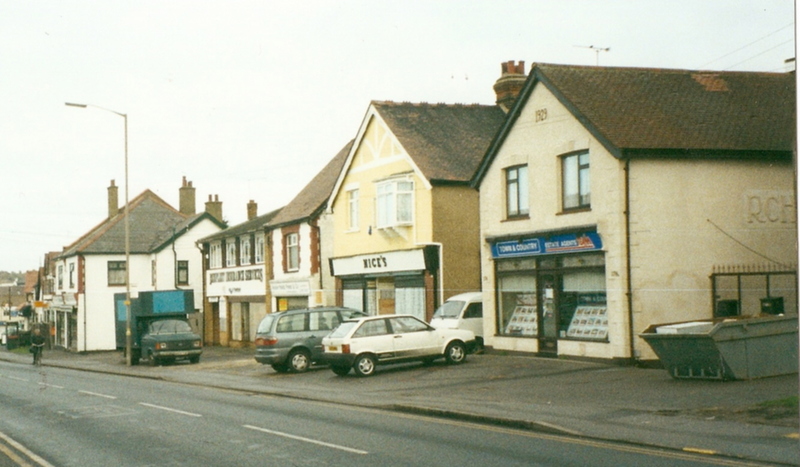 The shops, still familiar, have changed but on either end we still have a chemist and a newsagent. Lloyds Bank still remains but do you remember the Post Office, the hairdressers or the hardware shop? We will gradually add to this page, to build up as complete a picture as we can of our past. People we speak to have fond memories of those bygone days. Please help if you can. The sweet shop was Knightley’s. My sister used to work in Burnett’s Chemist , and I remember the Hope Green PO too… what was the sweet shop called at the end of that row? I have a painting dated 1902 by New Zealand artist Herbert Ivan Babbage that shows a house or a shop in Benfleet. Above the awning over a window is a sign- H. Butcher. Does anyone have any information about this shophouse? Editors note: Jim, one of our members will contact you regarding your request, as he has some interesting information for you. 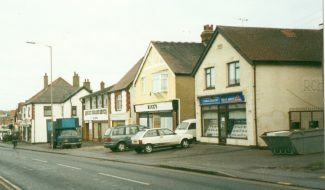 Several references are made to the butcher’s next to Palmers at the top of Green Road. My memory goes back further (1940s) when it was owned by Mr Stan Tomlin. He was a cheerful rotund character (did you ever see a slim butcher!) 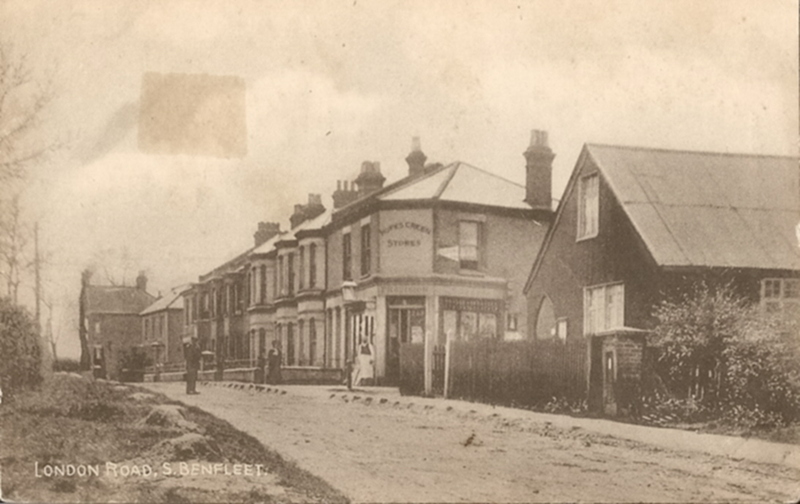 who lived in a large house directly opposite the top of Green Road. The stone entrance to the front gate is still there. Mr Tomlin kept animals in an open field where three bungalows now stand and they were presumably killed on site. I think they were the smaller animals (sheep, pigs and lambs). I also remember the lady with the cats I ran past to! Does any one remember Knot’s owned by husband and wife opposite hopes green post office? It had sawdust on the floor and a ladder to reach the top shelves a bit like the four candle sketch. He would slice a quarter of ham off the bone and wrap it in newspaper for you. I also recall when Wallis supermarket opened and we all got the afternoon off school as Coco the clown came to open it. Great Days. We had never seen so much food in one shop before, absolutely amazing! I seem to remember my dad driving round the back of the shops by Benfleet Juniors to go to Howards Dairies? 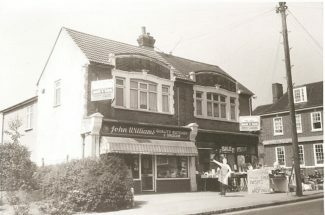 I remember Palmers on the corner of Green Road but I recall the Butchers next door being called Sawyers. Further to Janice Hand’s comments regarding the ‘poor lady’ who was thought to be a witch, she was known as Mabel and she had many, many cats. I remember her old cottage as being in a wooded area close to the school and yes, I used to run past on my way to and from school as I was frightened of her. 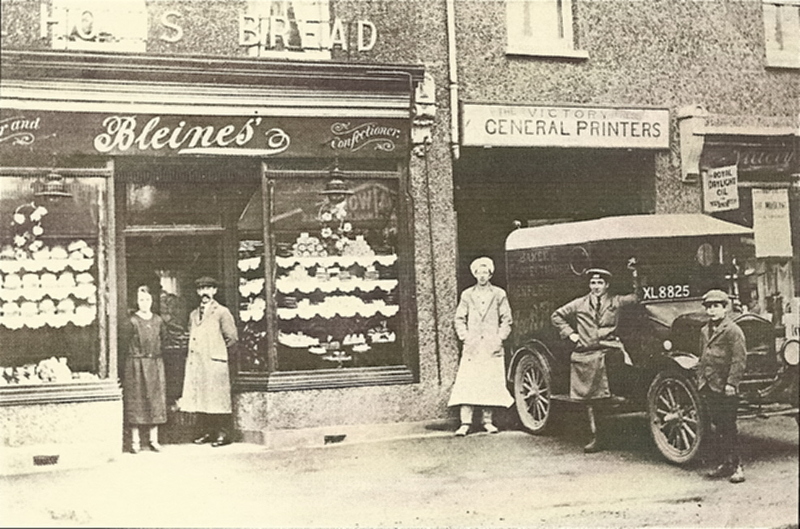 I remember the noise of the woodmill’s enormous circular saw with the sparks flying and opposite the woodmill was an air raid siren. They would test this in peace time with the ‘all clear’ sound and it was quite creepy as it used to groan on after it had been turned off. My Mother used to say that ‘thank heavens I had never heard it give out the warning siren.’ Thankfully I was a post war baby. I believe the greengrocer next to Sharmans was Eatons. Mr Eaton always wore a brown cotton work coat and a cap and Newmans shoe shop was where I believe is an estate agent on the same side of the road. Next to Benfleet school was a very old Essex board cottage where a very old lady lived, we used to run past, as rumour had it that the poor lady was a witch. She used to have her front door open and had a very large picture of the Queen on her wall. I remember Sharmans oil shop which was right beside the brook opposite the water works pump station. It always smelt of paraffin, which they measured out with copper jugs and on the other side of the road was Smiths woodyard. Also the smell of fresh bread at playtime from Smiths Bakery opposite the primary school. I certainly remember the post office and stationers, next door was Ward’s the haidressers, to the left was the ladies section and for the men, a barbers on the right. 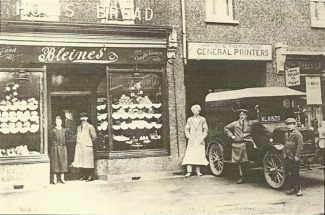 Next door to that was a hardware shop and at one time it housed the 2nd branch of Howards Dairies ( I am not sure which came first – now it is a florist). 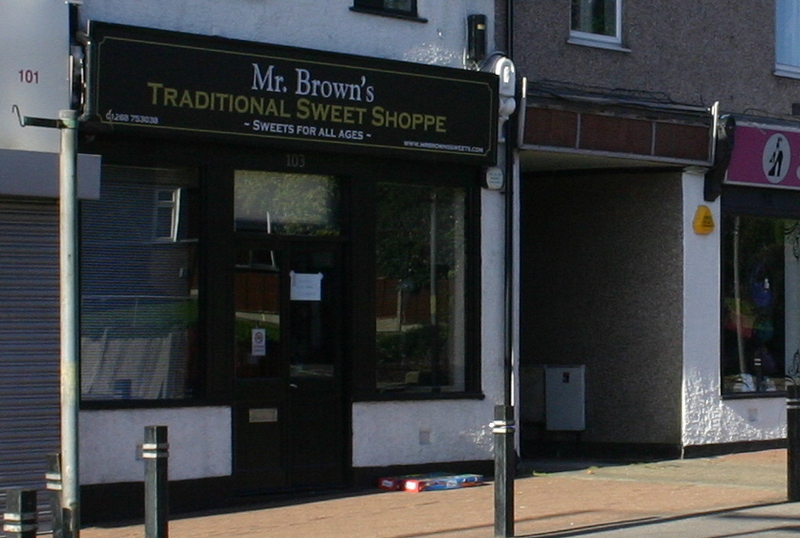 When I was a youngster the Newsagents was owned by the Wyatt Family. 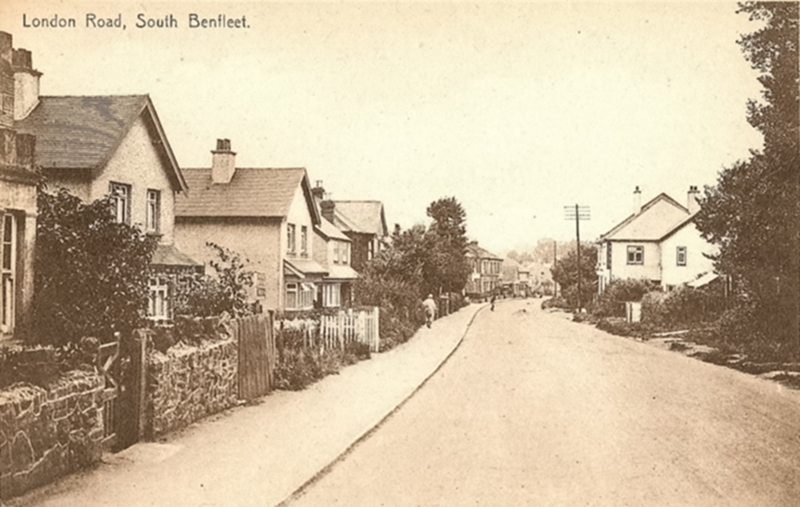 Mr Wyatt was one of the 3rd South Benfleet boy scout leaders. 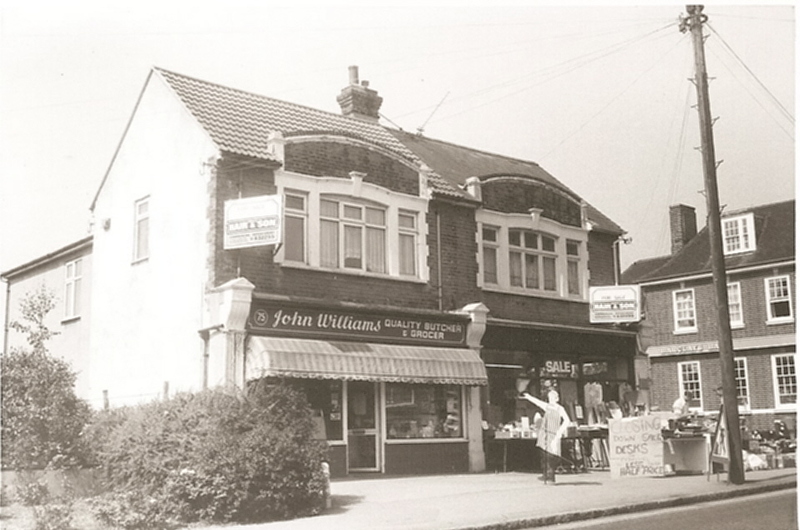 The shop that is now Tujon double glazing at one time was a butchers called Tippers, if I recall correctly, next door was Palmers who sold animal feed and grain etc. 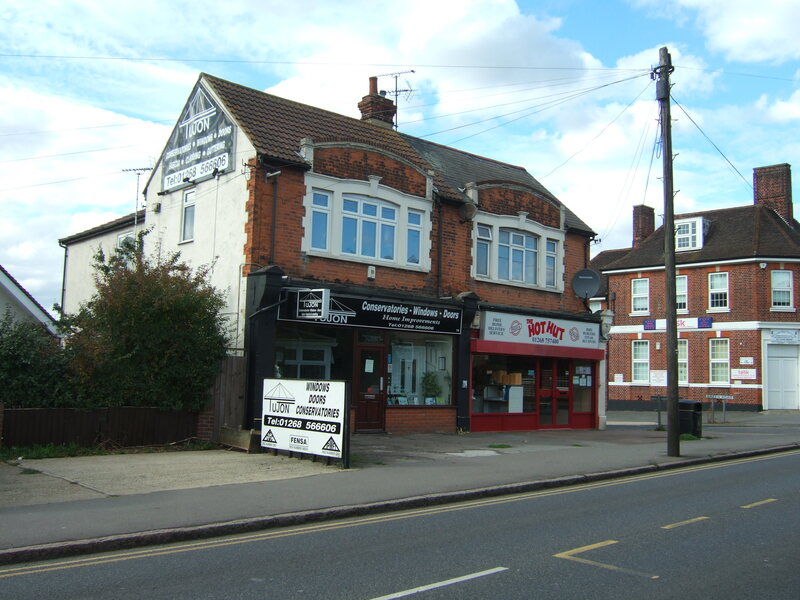 The shop on the corner of Brook Road used be owned by Mr & Mrs Beatie (I think the spelling is correct) which was a newsagent and sweet shop with I think limited groceries. This was later taken over by a family called Sweeny. On the other side of Brook Road was the Labour hall, which at one time had been a cinema I think. Next to that was a green grocers then a butchers called Nunns. Next was Sharmans which was a double fronted shop where you could buy crockery, candles etc (which were often needed during power cuts). 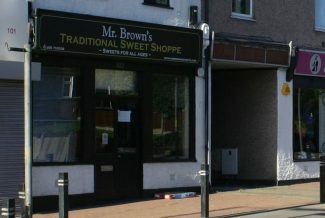 Finally next to the brook was another sweet shop which was run by the Galloways. 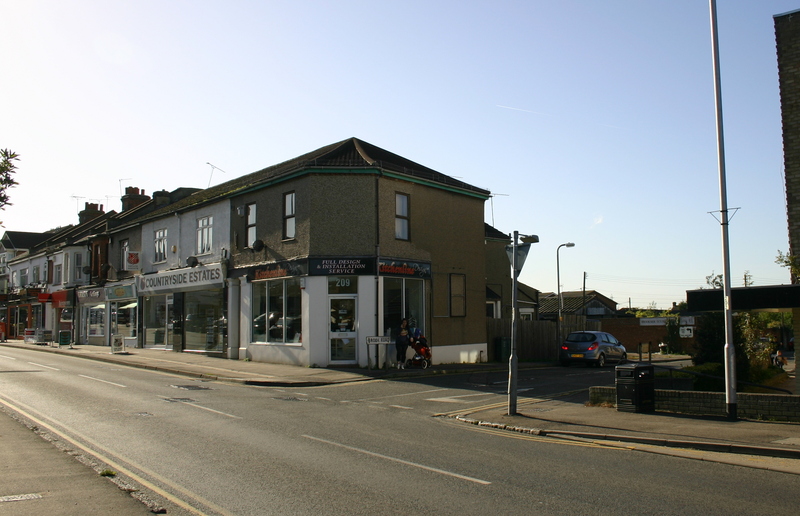 There were at one time 4 different butchers open in Benfleet, Tippers, Nunns, Weilands and lastly the English Butchers next door to the printers opposite Brook Road. Interestingly enough the English Butchers was run by a plump jolly man who was (I think) German, at least he was foreign and us children called him ‘Herman the German’, (not very PC nowdays).